After hearing Xhosa spoken by T’Challa and T’Chaka in Captain America: Civil War, it’s easy to assume that Wakanda is the cinematic universe’s version of South Africa. However, in the comics, Wakanda is located in Northeastern Africa. And while most Marvel’s African countries are made up of a few fictional countries like Azania, Bora-Buru, Canaan, Genosha, Ghudaza and many others, some characters do call South Africa their home. Here is our list of Marvel characters from South Africa. 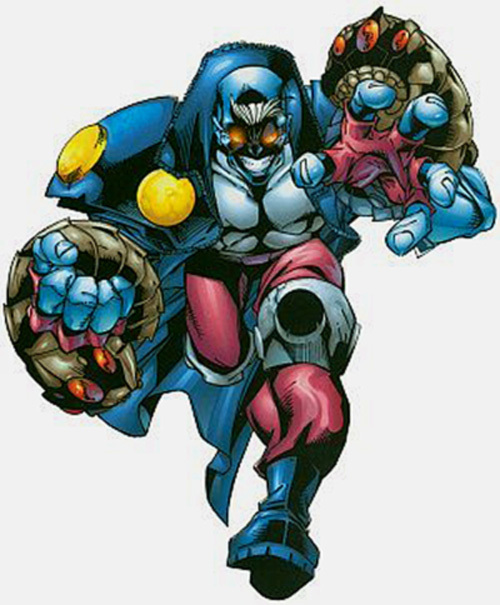 Maggott is an unusual mutant, not only because of his strange abilities, but also because he sometimes speaks Afrikaans slang. Arguably the strangest X-Men character, he has the power to digest anything through the use of two slugs (named Eany and Meany) that inhabit his body and gain strength from that energy. Discovered by Magneto in the Kalahari desert, Maggott’s family were killed by Apartheid soldiers (of course), which eventually lead to him joining the X-Men. Sadly, he was killed after he was captured by Weapon X. 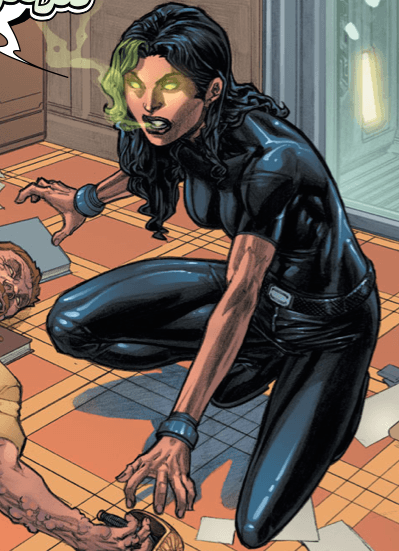 First appearing in Thor vol. 1 #300, Chandra Ku (aka Splice) was a young Zulu woman from 18th century Africa. Recruited into the Young Gods and chosen by the Goddesses of the Earth to represent a certain ideal of humanity, Splice was given the ability to manipulate matter, reshaping natural and artificial material. In a similar tone to Tarzan, Ka-Zar (David Rand) grew up in the African jungle after his family’s plane crashed. While growing up, David befriends a lion named Zar and lives with his father as rulers of the jungle. 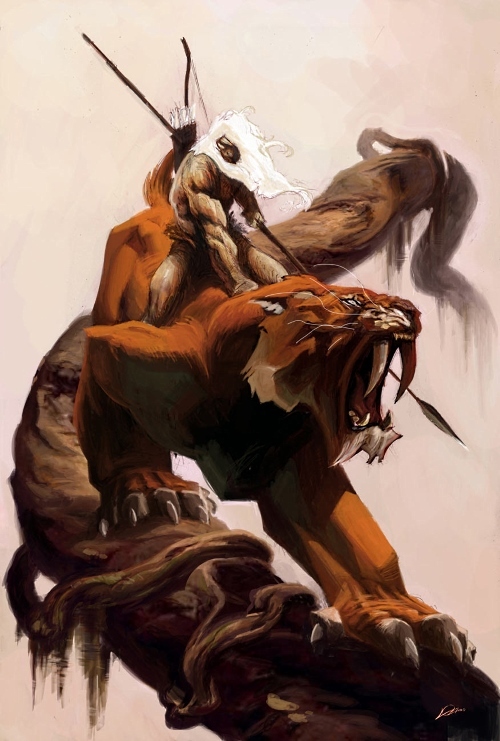 When his father is killed by treasure hunters, David renames himself Ka-Zar (brother of Zar) and takes revenge. A witch doctor’s magical potion grants him enhanced strength and endurance. Known only as Host, this South African-born mutant character is a self-appointed freedom fighter for viruses. She has the ability to communicate with and control pathogens. She was recruited by Sabertooth in a plot to destroy the world. “He ran a guerilla war– Which means he can kill teams. Civilians died. What do they call that kind of person in the United States, kid?”, Wolverine asks Armor in Astonishing X-Men: Xenogenesis #1. 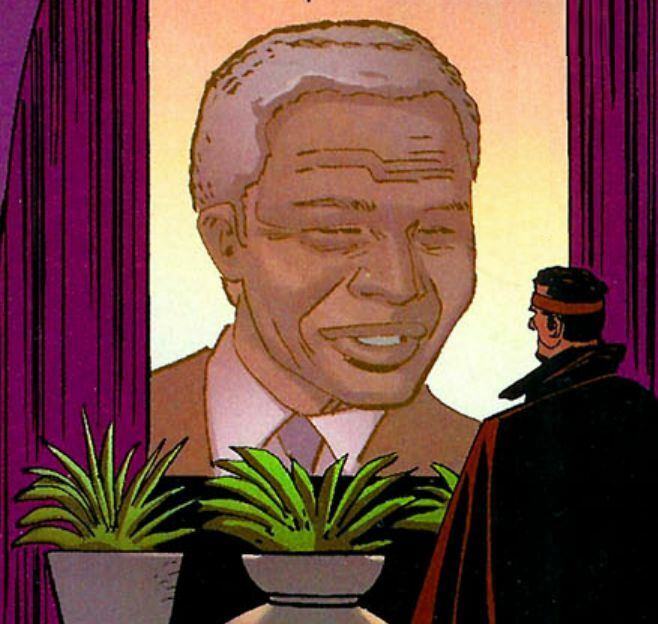 Yes, former South African president Nelson Mandela is a terrorist in the Marvel Universe – at least that is the way this comic portrays him. 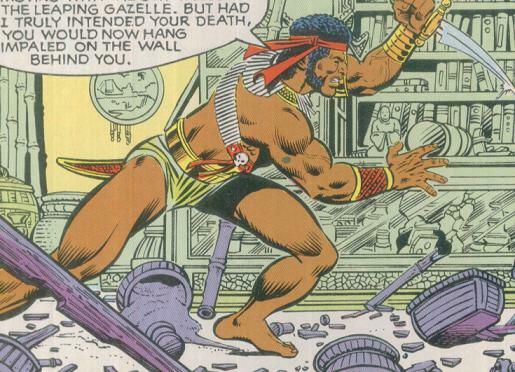 Although in the comics, the ANC is heavily supported by T’Chaka (Black Panther’s father). Mandela even attended the wedding of Storm and Black Panther. 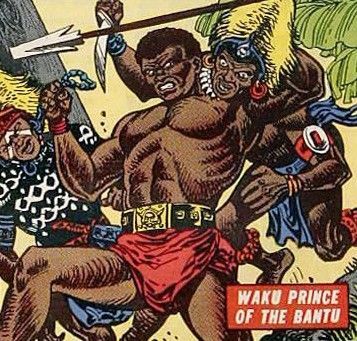 Predating the Black Panther as the first Black character in a lead title, Waku, a skilled hand-to-hand combatant, was a prince of the Bantu nation, located in the hidden depths of South Africa. The storyline is very similar to that of Black Panther and involves a prince taking over the reins of his father’s village/kingdom. Known as a foe to Black Widow, N’Kama is “the greatest of the Zulu warriors” and uses his great skills in tracking and stalking to hunt human preys for a fee. He is contracted by the Indestructible Man to hunt down Black Widow in a plan to destroy S.H.I.E.L.D. Man, thanks for this list!!! Well this is pretty cool.